If you’re saying a variation of that phrase to yourself right now, it means you’ve read this article. And if that’s the case, it also means you’ve probably got too much time on your hands. That’s okay though; so do I. Anyway, I’m excited for today’s subject for three specific reasons: 1) It’s a pre-fame John Wayne B-Western, his 1935 Lone Star (aka Monogram) entry, Texas Terror, as you can plainly see above. Let it be clearly stated: I love these Lone Stars. You ask me to put together a list of my favorite Wayne flicks, guess what? Blue Steel is going right up there with Stagecoach – a statement I make without hesitation despite the probable destruction of my street cred. I’m a B-Western junkie, and a Wayne fan, so these Lone Stars are directly up my alley. 2) I grew up watching B-Westerns. I talked about this recently; in the late-1990s, our local independent station WAOH TV-29/WAX TV-35 regularly ran syndicated content from the America One Network, and each weekday (and often on weekends, too) they’d play an afternoon “Western Theater.” You wouldn’t be seeing things like The Searchers on the program; oh no, it was the B-Westerns of the 1930s and 1940s that they presented, and at 11/12-years old, I quickly grew to love them – a love I carry with me to this day. America One often seemed to have unique prints of their films, too; not necessarily wildly different prints as far as the actual content of the movie went, but the picture and sound quality of their features could vary quite a bit from more ‘common’ versions found on other networks and/or home video. 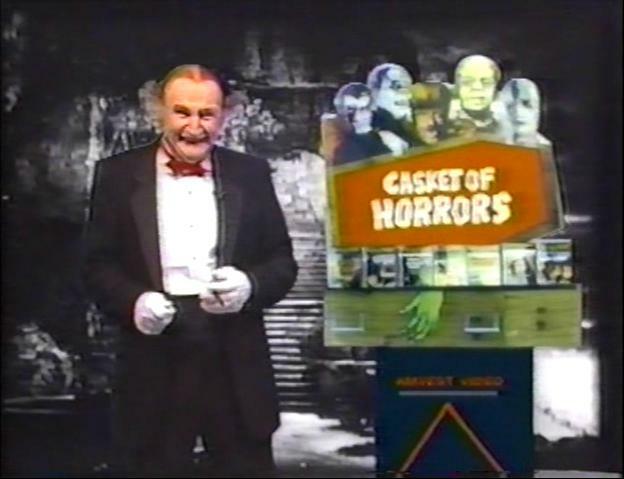 Coincidentally, and fittingly, the same often goes with these Vintage Video/Amvest releases! 3) I didn’t know this company (these companies?) ever even released any westerns. I mean, it was a safe guess that they did, but listen, I’ve spent far too much time researching these titles, and in the course of that research I’ve seen comedies (Movie Struck), dramas (The Blue Angel), silents (The Gold Rush), mysteries (The Woman in Green), sports biopics (The Joe Louis Story), even action (Fists of Fury), and of course the sci-fi and horror of the Grampa series. But until Texas Terror, never a western. I mean, I assume they put out The Outlaw and/or Angel and the Badman, because nearly every budget VHS manufacturer did, but if so, *I’ve* never seen them. So, when I discovered they not only released a western, but a B-Western, and that B-Western was a John Wayne Lone Star, I got far more excited than an ostensibly-reasonable adult should have. I mean, we’re talking unacceptably giddy here. Needless to say, it had to become mine, and as you may have surmised by now, it did. 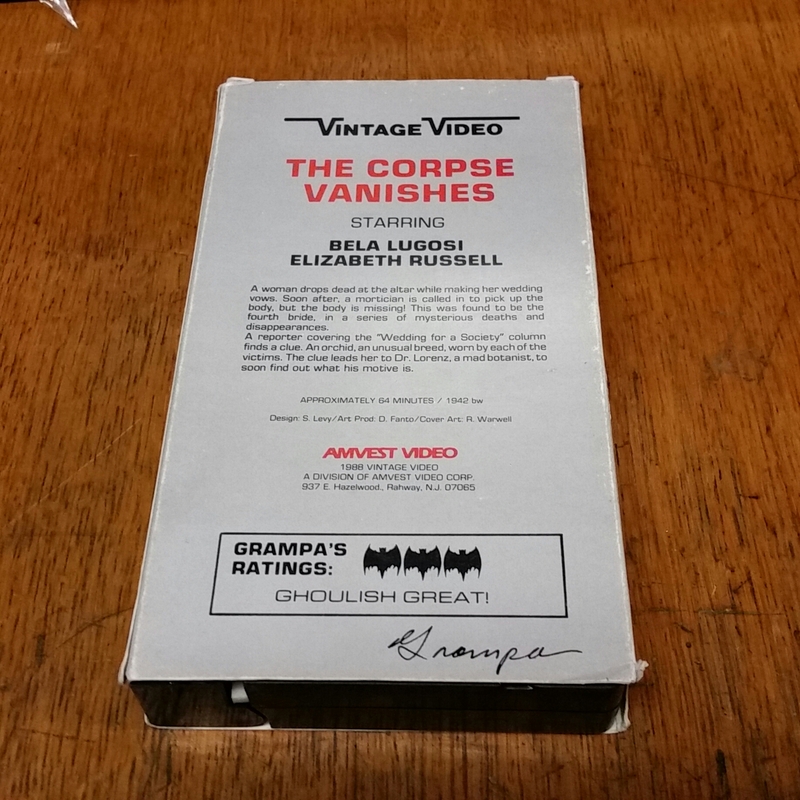 In relation to the other Vintage Video titles, this one is a little unique: usually (but not always) for their covers, they’d go with the original poster art, merely flanked with the “Vintage Video” border you’re seeing above (they eventually dropped the border). But here, it’s an original composition; a stock (I guess) shot of Wayne, made to look appropriately old-timey. I dig the ‘western’ font of the front cover cast-credits, though I feel the graphic used for the actual film title is wildly inappropriate; to me, that’s more befitting an 80s horror movie or something. Totally belies the comparatively-quaint creaker (alliteration?) contained within the video, man. But then, that’s that quirky aura I was talking about earlier! Also, some of their descriptions could be a little…off. Not bad, just…off. I made the same point in that Night of the Living Dead post. Here, there’s a mention of Wayne’s “great style,” but what exactly that style is is never specified, so it just comes off random. The synopsis would have flowed better had they dropped that part entirely. The “of course” near the end kinda stops the rest of the summary dead, too; the whole thing would run smoother had those two instances been cut. Still, they got the point across, so mission accomplished anyway I guess. Also, I just realized that the entire description is only two sentences long. Also also, they spelled “thieves” incorrectly. 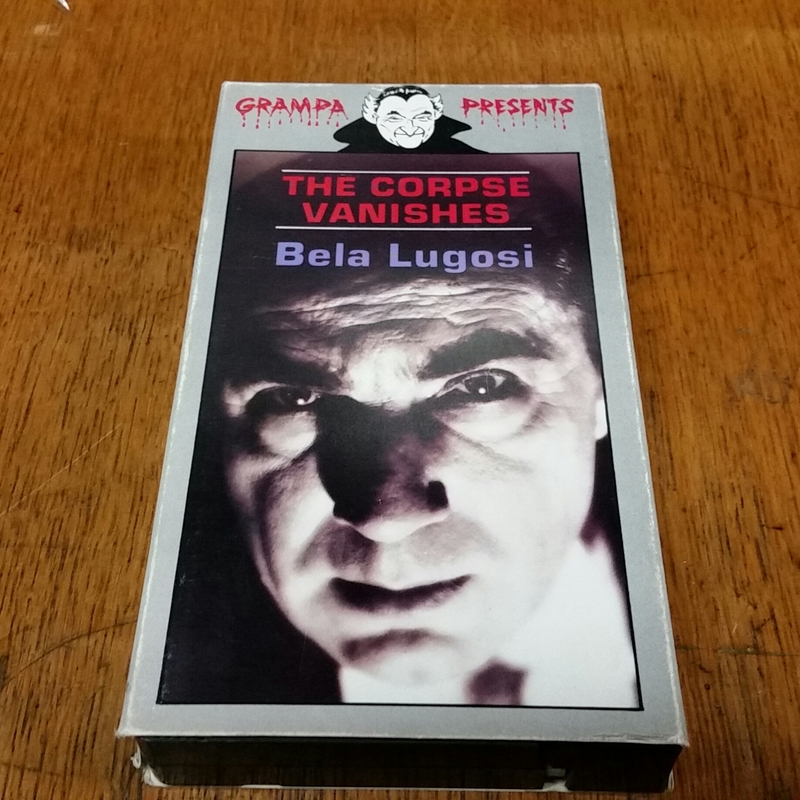 Bear in mind, I’m not intending to come off negative here; this tape, and others in the same line, positively exude a budget label charm. Indeed, as the video industry progressed from the 1980s to the 1990s, you saw the major studios evolve, but the budget labels? That quirky charm never really left, and to an extent it continues today with cheapo DVDs, though to me those feel inherently less special; pressing a disc just ain’t the same, bro. 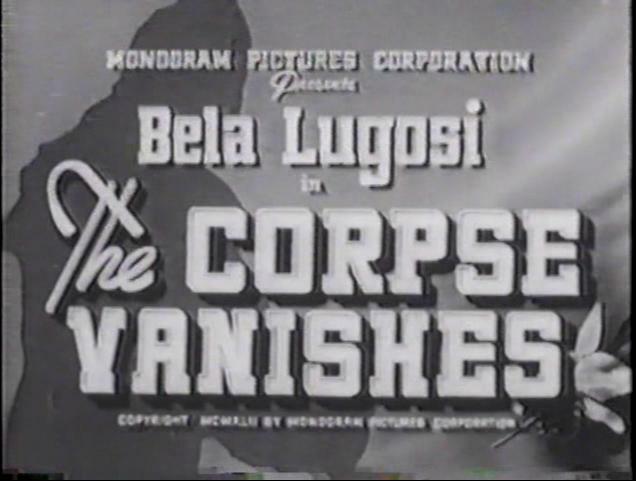 I guess what I’m getting at is collecting these public domain titles on old school budget video labels is endlessly fun. 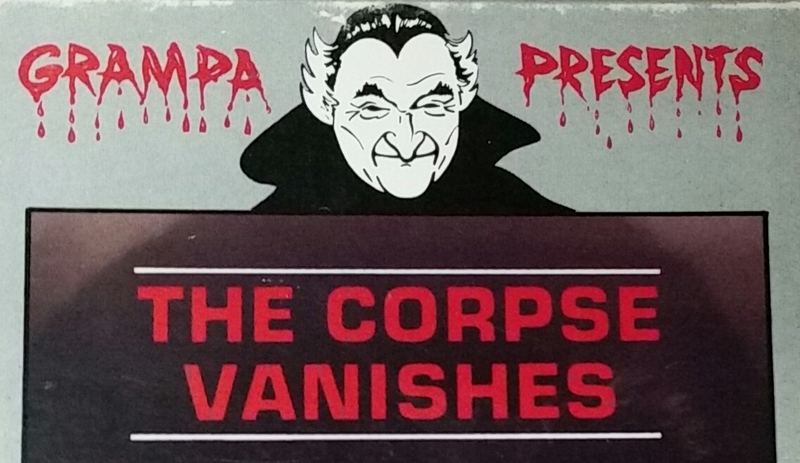 You get a peak at that early (or at least earlier) era of home video, and you often get fairly unique sleeve art, front and back, which is the case here. 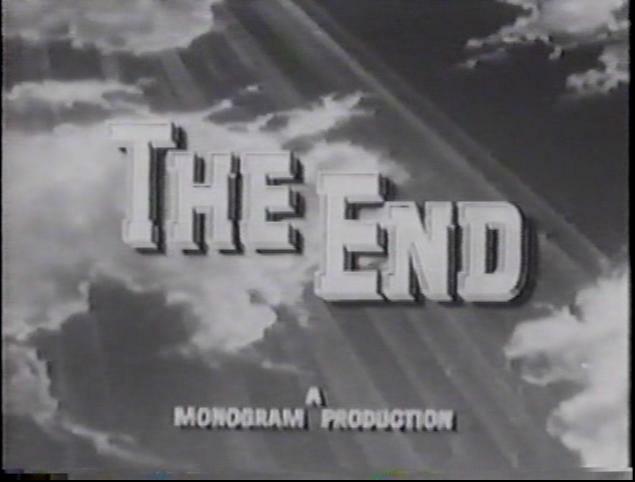 Lone Star Productions was, from how I understand it, a division of Monogram Pictures. Or was it merely Monogram under a secret name, not unlike Konami with their Ultra Games label? (I’m reasonably sure I’m the only person on the internet to make that reference in regards to a Monogram/Lone Star movie, and if you don’t get it, that’s because there’s not much of a comparison between the two entities at all.) 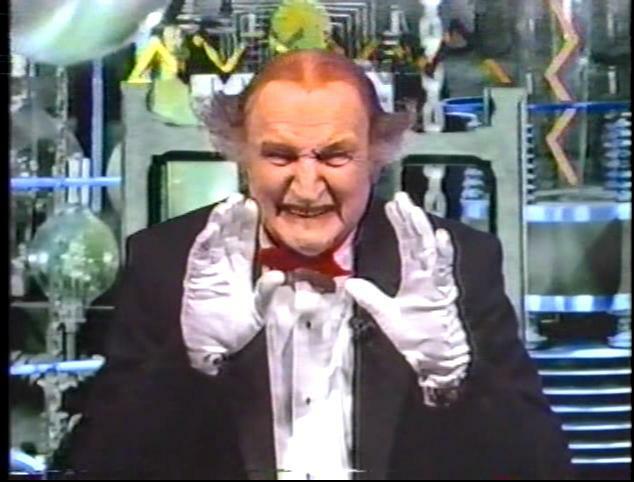 Monogram was, for those not in “the know,” a poverty row purveyor of cheap theatrical entertainment, in pretty much any genre you could think of. Westerns were big business at the time, so needless to say, their output in that field was not inconsiderable. From my first glimpse of Blue Steel so, so long ago, the thing I found immediately striking about these Lone Star pictures was their introductory sequence; a gigantic sheriff’s star, stampeding towards the viewer, the company’s name boldly emblazoned in the center of it. All of sudden, the thing stops, then transitions to the respective title and credits of the feature, all still contained within the star. And of course, this was always accompanied by a heroic, appropriately-western score. If you’re wondering just why I find/found these intros so fascinating, it’s because, quite frankly, you didn’t always get such hype at the start of these poverty row westerns. 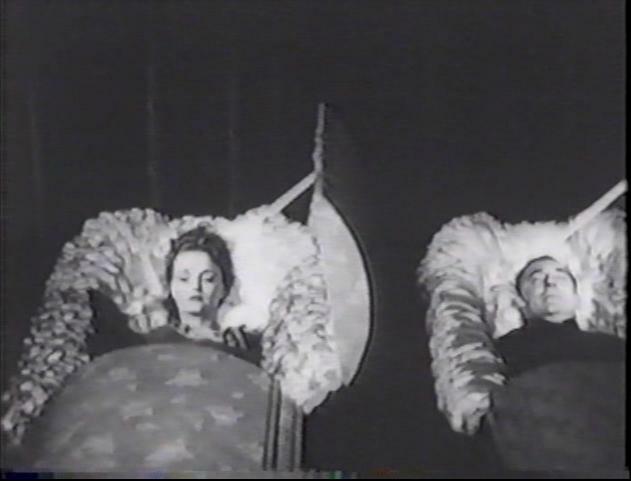 For films that were, more often than not, pretty chintzy (in a good way), the opening fanfare exhibited by the Lone Stars was really pretty unique in the field. While on the subject, I don’t think I’ve ever seen a non-John Wayne Lone Star western. Maybe that’s because these are so widely available today due to the star power involved. At any rate, did Monogram give Lone Star flicks to other actors? Yes? No? I dunno. Actually, it’s the John Wayne factor that makes these Lone Stars so (relatively) well-known nowadays. 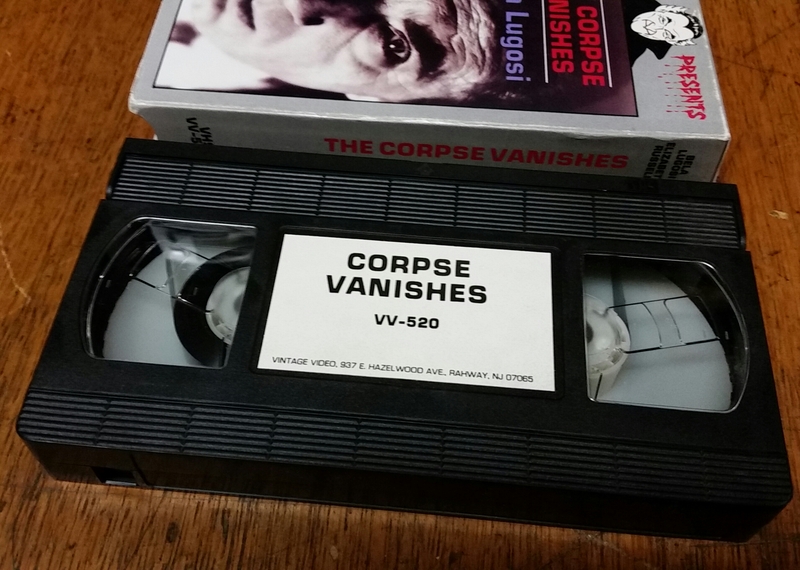 Just like our tape today, budget releases on VHS were myriad, and that continues with DVD releases from every manufacturer under the western skies. (See what I did there?) I mean, when you’ve got American film icon John Wayne in a bunch of public domain movies, that’s the sort of thing a company looking to get cheap-but-eye-catching product on store shelves has to take advantage of. Indeed, some of my favorite budget movie releases, on both VHS and DVD, are those of these John Wayne B-Westerns; not necessarily all of them, but rather the ones that use later-era shots of Wayne and/or appropriately ‘epic’ or ‘majestic’ backdrops for their cover art. The intent with these is clear: to make the unsuspecting consumer think these are “real” Wayne movies, and not the creakers they actually are. Oh don’t get me wrong, I love these Lone Stars, and I’m such a B-Western junkie that truth be told I’d head for them over some of Wayne’s later, big time stuff. Still, aside from the fact they feature the same star and are technically moving pictures, there’s just no real comparison between the two. Therefore, the more misleading the cover art for a release of one of these cheapies is (or was), the more appealing it is to yours truly. Go figure! So anyway, Texas Terror. Through various compilations, I undoubtedly own it approximately 97,000 times over – give or take a couple thousand. 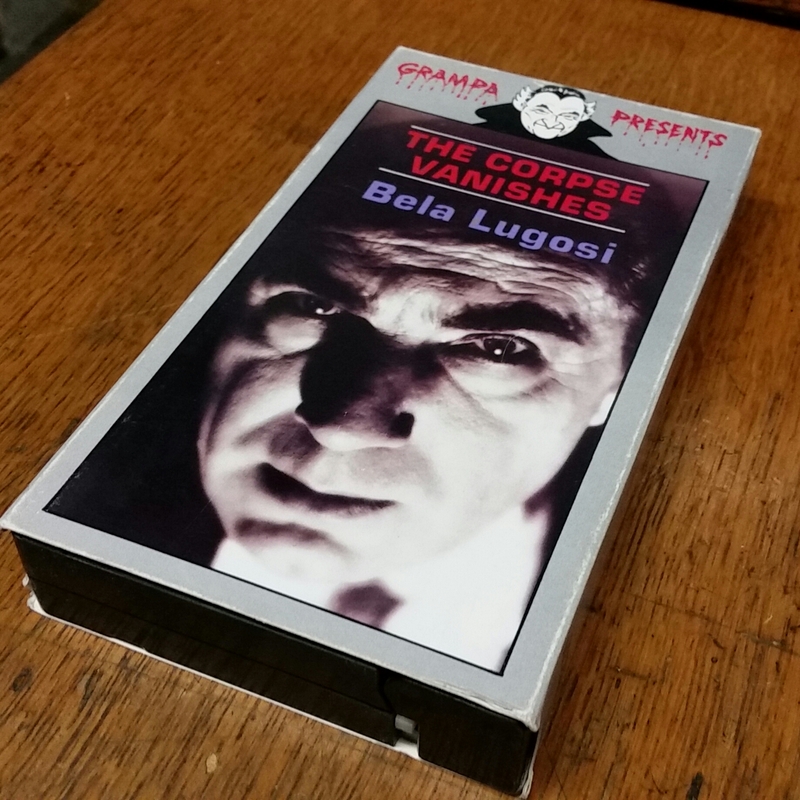 Still, until I picked up this neato Vintage Video release, I wasn’t all that familiar with the movie. Blue Steel I know backwards and forwards, and I’ve at least seen a chunk of the others, but Texas Terror? For all intents and purposes, this was a new one on me. Going in, don’t expect an early prototype of Stagecoach, okay? This is John Wayne, but also sort of, uh, isn’t. Frankly, it’s kinda fun seeing him outside of Hollywood and, I don’t know, ‘raw’ I guess would be the best term for it. The actor is the same, but the acting isn’t. Does that make any sense? Soooo, all that said, ignoring the young John Wayne factor, and my love of B-Westerns and Lone Stars in general, I gotta admit, after watching it, Texas Terror really isn’t all that good of a movie. I mean, as a B-Western, I guess it’s alright, but as far as these Lone Stars go, there were much, much better flicks. If you’re looking at B-Westerns in general, Texas Terror ranks somewhere in the middle of the spectrum. “Mediocre” seems to sum it up pretty succinctly. The plot centers around John Higgins (Wayne), the local sheriff, who mistakenly believes he’s killed his best friend Dan Matthews. During a shootout between Higgins and some robbers, Dan is killed by one of the hoodlums; upon discovery, Higgins thinks he plugged him (right screenshot), and subsequently resigns as sheriff and goes to live in the wilderness. A year later, Dan’s daughter is heading into town to take over her late father’s ranch, when she is, naturally, beset by outlaws (it must run in the family). Higgins, now quite a bit scragglier, rescues her. Despite his heroism, she thinks he was one of the outlaws. Eventually, Higgins cleans himself up and comes back to town, his goal being to take down the gang once and for all. In the course of doing so, there’s a blossoming romance, a huge misunderstanding, and perhaps improbably, a square dance that devolves into a cow-milking-contest. Oh, and George Hayes is also in this, minus the whole “Gabby” persona. Can’t forget to mention that! Texas Terror, as previously stated, it isn’t all that good, but there are some interesting aspects to it that help set it apart. First of all, Wayne’s Higgins (I can’t type that without thinking of Magnum, P.I.) grows a beard during his exile period, and this is the only film I can think of where Wayne’s character features full facial fiber (alliteration). Sure, he had a mustache (and quasi-soul patch) in The Shootist, but this is the only instance I can think of where he had a legit beard. (I’m not saying it is the only instance, I don’t claim to have seen every single John Wayne movie ever, but this is certainly the only instance that comes to mind). Random Thought: is it just me, or does Wayne kinda look like Kevin Love in this screencap? Also, I appreciate the usage of Native Americans as heroic characters. 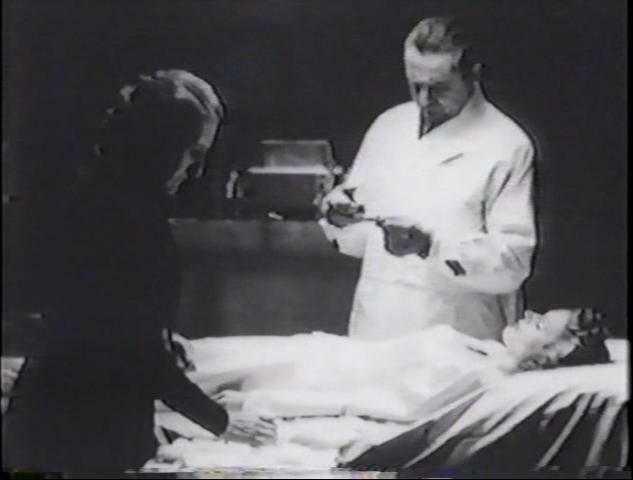 Here, they’re friends with Higgins, and come to his aid in grand fashion during the film’s climax. Sure, their ‘accents’ may not be politically correct now, but Texas Terror bucks the frequent western trend of treating Native Americans as antagonists. I like that. These Lone Star westerns often featured cool, though slightly generic, titles, and Texas Terror is no exception. Is the title an indication of Wayne’s character, the outlaws, or the plot in general? Blue Steel was the same way; no in-film reference ever related to the title, but it sure sounded neat. 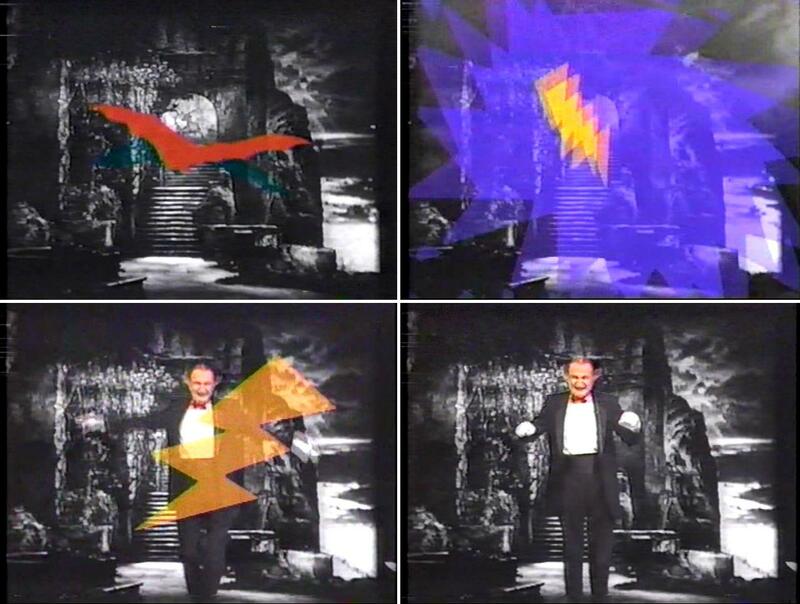 As for the print and tape quality of Vintage Video’s presentation, this copy is in SP, which is always welcome, though it’s kind of a wash since the source material is so battered. I’m not saying this is the worst Texas Terror has ever looked, but this particular print certainly saw better days prior to VHS release. Besides the not-inconsiderable amount of dust, dirt and scratches, accumulated via untold trips through the projector and who knows how many generations removed, the bigger issue is that this version is pretty blasted. No joke, some of the images are far, far too bright. Look at the screenshots to the right here; the upper-image features a positively ghostly John Wayne, whose face seems to be a part of the wall behind him. And the lower-image? You’d be forgiven for not immediately realizing our heroine is even in the scene! Still, like the sleeves these sorts of tapes were housed in, seeing the varying picture quality of these budget releases was/is part of the fun with collecting them. No, a major studio probably wouldn’t have put a print in this condition out (unless, say, there was only one known extant copy existing; definitely not the case with Texas Terror), but that’s why there were budget VHS tapes back then. The old adage of “you get what you pay for” could and often did come into play here, but I prefer to think of it more like, hey, the company got their hands on the only print they could, so let the chips fall where they may. Or something like that. Look, it was a different time in home video, and better sources might not have been available, or at least easily accessible. Especially if the manufacturer was a relatively minor player in the game. 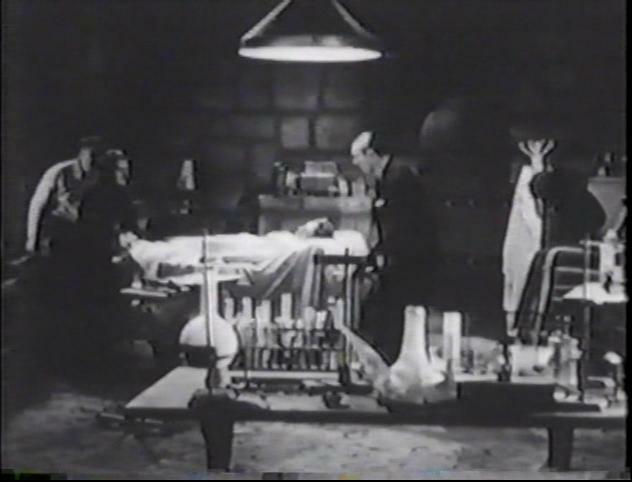 So, there you have it: Texas Terror, as presented by Vintage Video, the (eventual?) 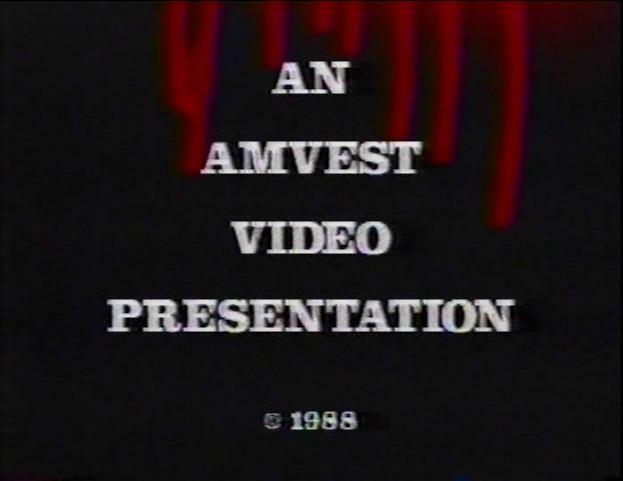 alter-ego of Amvest Video, from 1985. I still haven’t seen another western put out by either company, and while I can’t really recommend the movie for B-Western and/or John Wayne fans (seriously, Blue Steel is pretty good; go with that one instead), it’s certainly an interesting, and for now, unique, addition to my collection. I’ve got more than a few cheapo John Wayne tapes littering my “archives” (ha! ), but this one has automatically become one of the more-notable entries. I don’t say that lightly, either. 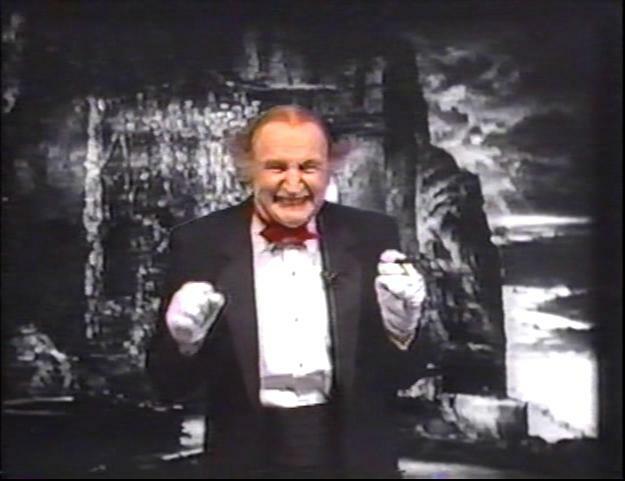 This entry was posted in Uncategorized and tagged al lewis grampa vhs series, al lewis vhs series, amvest, amvest grampa, amvest john wayne, amvest texas terror, amvest video, article, b westerns, b-western, blue steel, DVD, early john wayne, early release, film review, grampa presents, grampa vintage video, john wayne lone star, john wayne vhs, lone star monogram, lone star pictures, lone star productions, lone star westerns, monogram, monogram films, monogram movies, monogram pictures, movie review, obscure, overview, poverty film, poverty row, poverty row films, poverty row movie, poverty row movies, poverty row western, rare, review, texas terror, texas terror 1935, texas terror 1935 review, texas terror john wayne, texas terror john wayne review, texas terror review, texas terror vhs, vhs, vhs release, vintage release, vintage video, vintage video john wayne, vintage video texas terror, vintage western on January 22, 2018 by neovideohunter.